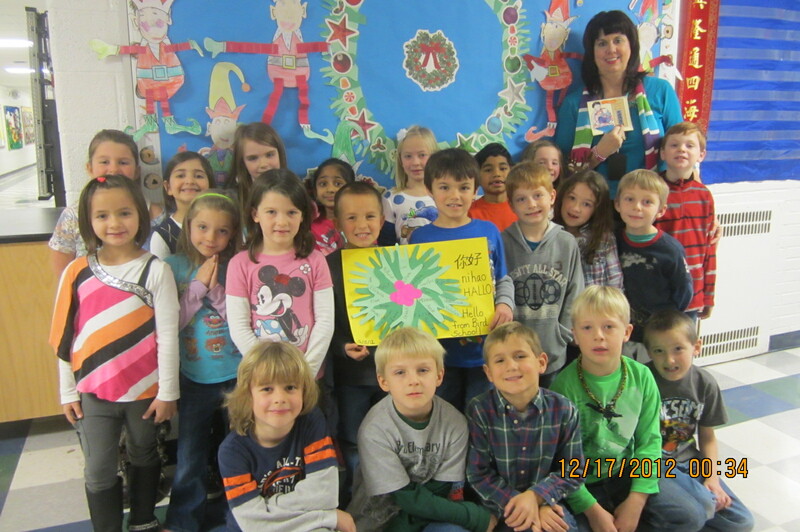 The PMME is proud to have as a member Pam Morgan, First Grade teacher at Bird Elementary School in Plymouth, Michigan, USA. In the fall of 2011, Pam became a member of the PMME and she immediately and enthusiastically enlisted her class in an exchange program with the children of HongYuan Kindergarten in Jiangyou, China. Since then, her involvement and that of the children in her class has intensified, the activities have multiplied and the results are remarkable. These 1st grade students are learning words in Chinese and have begun to decipher Han characters and even to count to 10 and more in Chinese! They are listening to stories, rhymes and poems that tell of the customs and culture of the Middle Kingdom and describe the everyday life of their young counter parts so far away, children whose daily lives seem very different from their own and at the same time similar in so many ways. 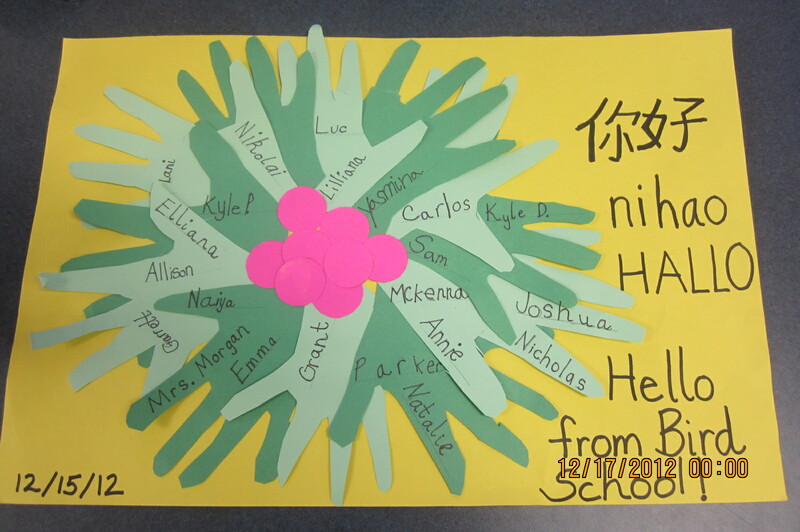 Pam Morgan’s class and HongYuan Kindergarten have exchanged letters, posters, drawings, pictures and videos, all tangible elements that generate not only an engaging learning experience but a personally enriching one for all. In December 2012, this enterprising teacher received a $500 grant that has been invested in literature, Chinese language posters and other classroom supplies that support her commitment to the PMME exchange project. 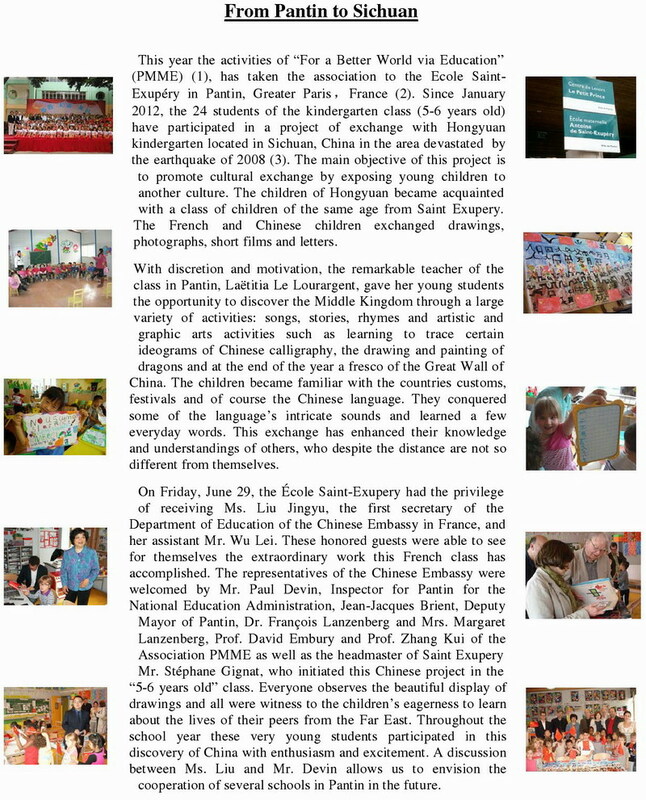 And very recently, in January 2013, Pam applied for a much larger grant that will permit the class to have a lab top computer, a flip camera and books about China and France. Yes France, because these first graders are also beginning to learn French! We will very closely following this dedicated teacher and her class as their exchange with HongYuan Kindergarten continues to evolve and develop.